London is a city built on trade, from the artists selling their work in Camden to the foreign exchange traders in the City. 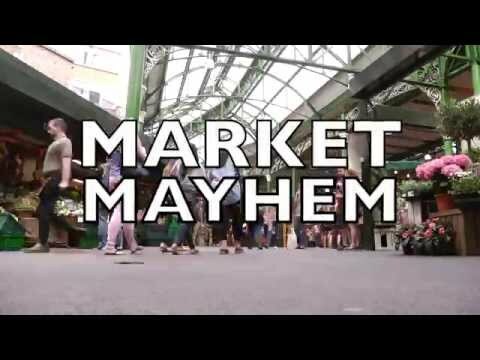 In this game teams must scour London’s markets, buying and selling, for maximum profit. Each team starts with a £100 budget, a shopping list and a case containing a series of apparently random items. Within four hours* they must buy the items on their shopping list, sell the contents of their case and return to the start with a cash profit. This event can be run throughout the year and works particularly well as a morning event. 12.45 – Teams return to pre-arranged venue to add up their takings, display their wares and declare the winners! Teams work together to navigate around London whilst negotiating, buying and selling random goods in order to make a combined profit, all whilst competing against other teams. This encourages imagination, flair, financial and strategic planning, drawing on different resources to achieve success. This event typically lasts 4 hours but can be adjusted to suit the client's requirements. This outdoor event can be run all year round and makes an excellent morning team-building session. Suited for groups of 6 to 60 individuals, bonding people from across your organisation. "Thank you so much for everything yesterday - to say it was a massive success is a huge understatement!!"